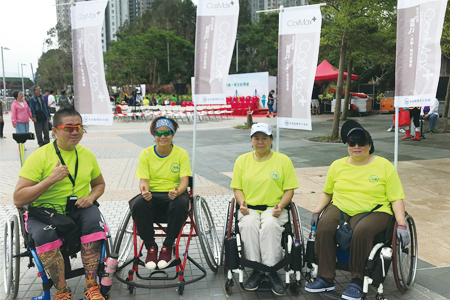 Miricor has supported the activities held by Hong Kong Federation of Handicapped Youth for over 6 consecutive years since 2012. In support to children with life-threatening medical conditions and grant them a wish that changes lives, charity sales of “Make A Wish” gift bag was conducted at CosMax since June 2017 to bring home to children. Mrs Gigi Ma designed the smurf’s house for UNICEF, aiming to fundraising and helping poor children. 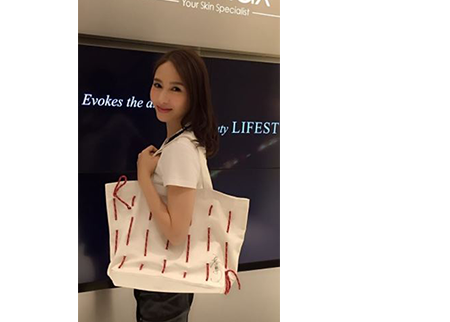 Mrs Gigi Ma designed tote bags for “bagforbetter” of Chi Heng Foundation, aiming to give hands to children who were born with imperfections, as well as adding colors to their lives with the hint of red threads in the bag designs. 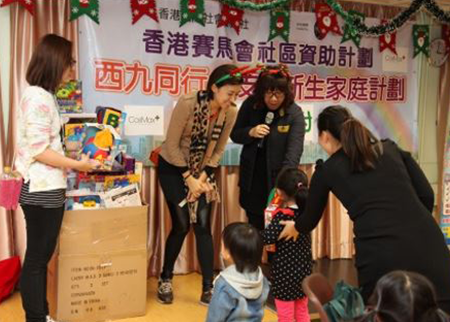 Miricor’s staffs initiated to be volunteers for International Social Service, hosting a X’mas party with the low- income families. 1600 Pandas” visited CosMax Medical Aesthetic centre, which is part of Miricor’s group, to arouse awareness for supporting environment protection and sustainable development. MIRICOR cares about our society and those unprivileged ones. We endeavor to contribute the community in different fields and taking part in various charitable activities over 6 consecutive years. 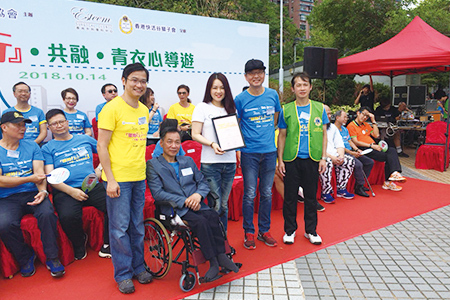 Not only we sponsored and supported the “Joy Charity Walk” organized by Hong Kong Federation of Handicapped Youth since 2012, but also the Hong Kong Society for the Protection of Children, Chi Heng Foundation, Ronald McDonald House Charities of Hong Kong, UNICEF, WWF Hong Kong, Make A Wish, The Children Cancer Foundation etc.